Waters Edge (formerly known as Rhumb Line The Sunset Restaurant) offers fresh-off-the-boat seafood, plus incredible steak and pasta dishes. 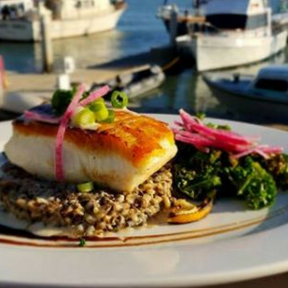 All dishes are served with a heaping side of gorgeous Ventura Harbor views! We offer Brunch every Friday, Saturday and Sunday until 3PM, Happy Hour seven days a week from 3PM-7PM (excluding holidays,) and Dinner every day starting at 5PM.